Product code: 543 Categories: Sold Items, Sold Jewellery. 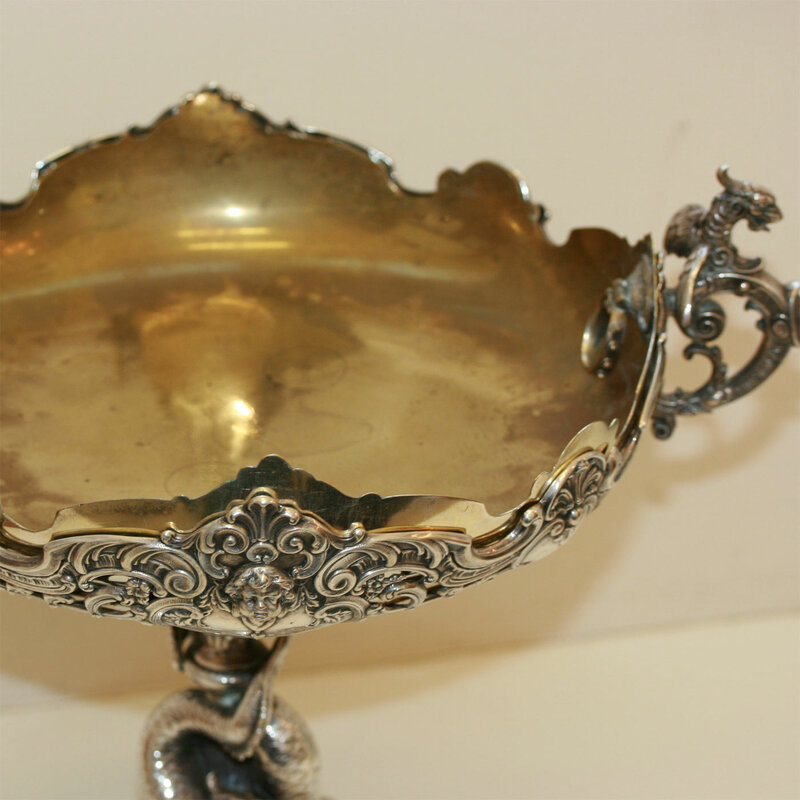 Here we have a wonderful example of an antique silver centrepiece dating drom the late Victorian era of the 1890’s. 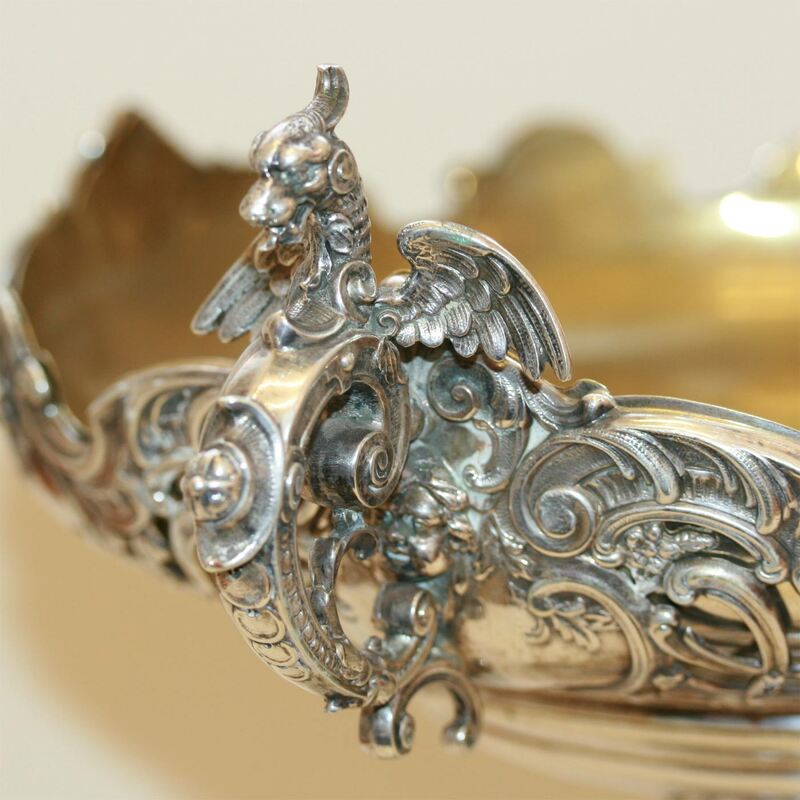 Made in Europe in .800 silver (English sterling is .925) this masterpiece of silversmithing is one of the finest examples of centrepieces around. From the very top, all the way down to the base, every single inch will captivate your eyes. It is fitted with a removable handles insert at the top, and with or without it, it is captivating. 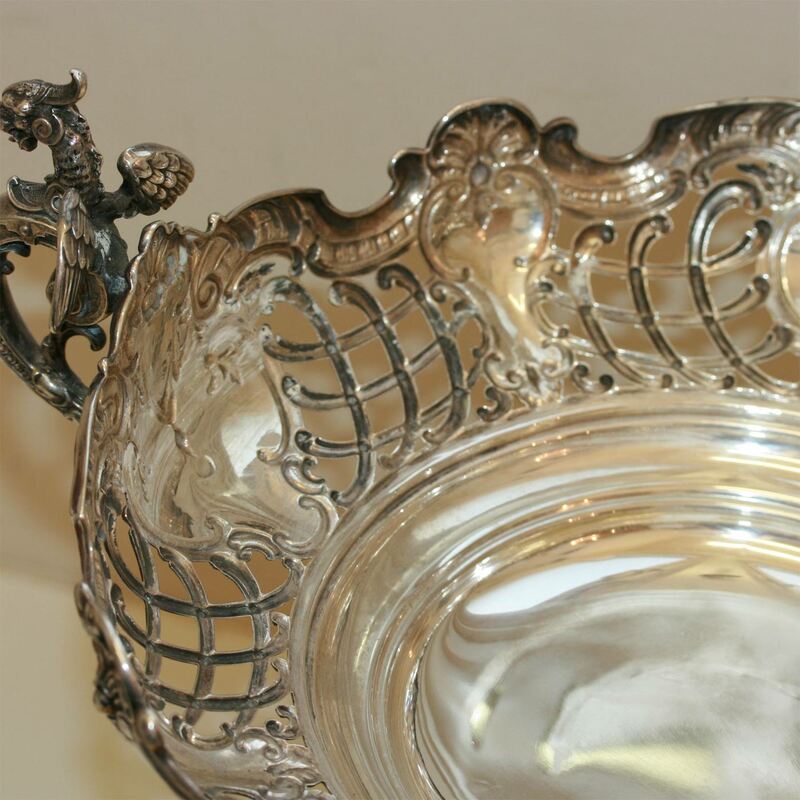 Measuring 35cm (14inches) high, this will take pride of place on your dining table. Centrepieces and epergnes of this high quality are becoming very sought after, and this is one that is no exception.